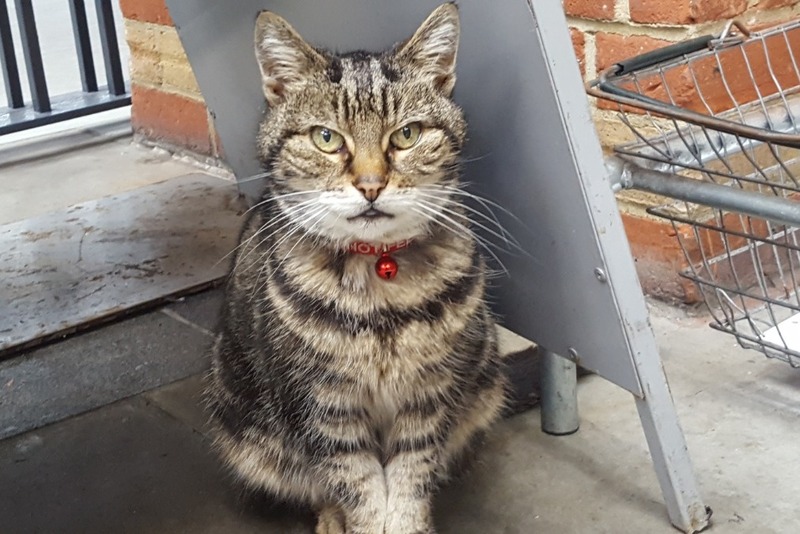 Fundraiser by Paula Gabb : Millie the Spires Cat. 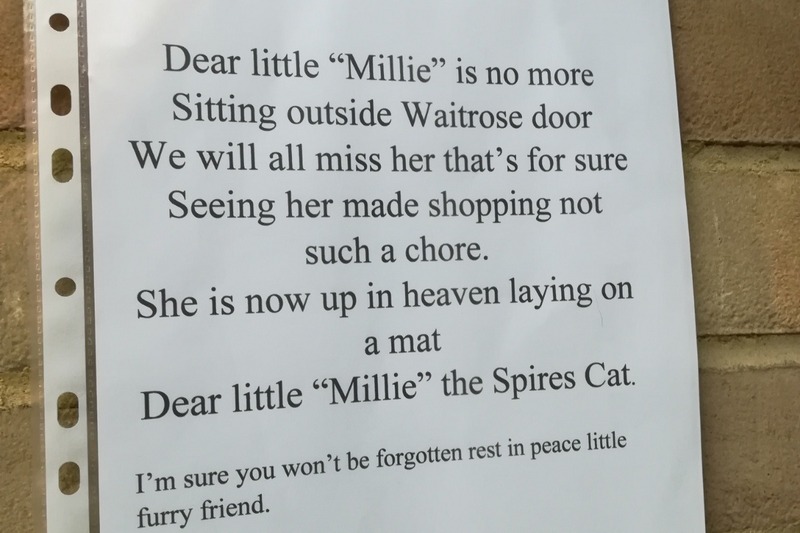 Millie was very much loved, and known as the Waitrose / Spires Cat ! 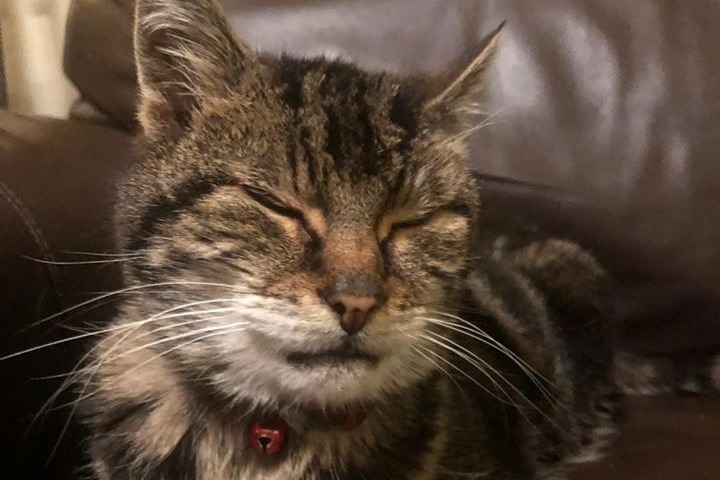 I am raising money for a statue or plaque to go in the Spires, and if any money is left to be donated to the RSPCA at Southridge, Potters Bar..
Millie came from the RSPCA when she was 3 years, having had her own kittens.. I have received so many wonderful, kind, comments via Nextdoor and facebook, and people have suggested a statue or plaque in Millies memory ! She clearly brought so much love, happiness, amusement, particularly when crossing the zebra crossing, only crossing when the cars had stopped !! She frequented many shops, intially Waitrose, then Savers, Coffee Bean, many of the Spires shops, and towards the end of her life was seen hanging out at KFC and the local butchers ! Many children apparently loved Millie, and enjoyed spotting her at the Spires, as did all the visitors there ! it would be wonderful if we could have something in her memory, and also to donate to the RSPCA who do a brilliant job ! Recent photo of Millie, with update, by permission of photographer Rick Alancroft, ( C ) 2019. How can a little cat do something which human beings can't? She is greatly missed, and deserves to be remembered..